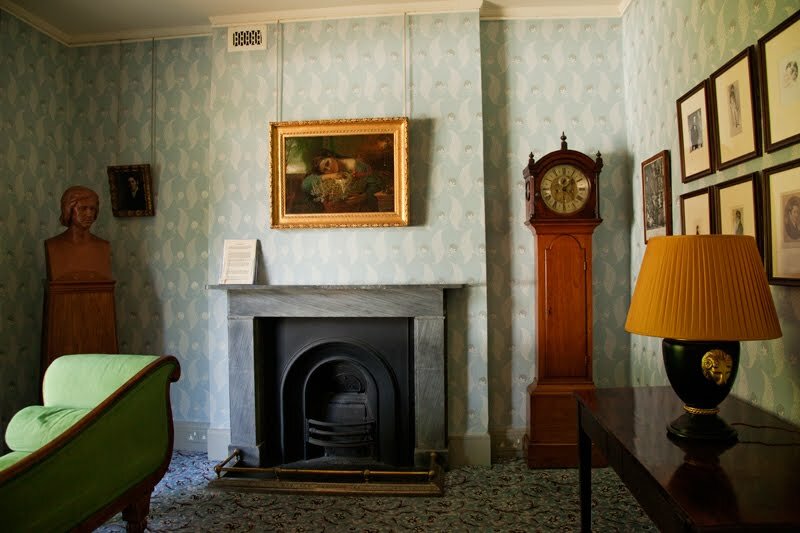 During his illness it was in this room that Keats would sit on his especially made 'sopha bed' and gaze out at the garden. The place still has a wonderful tranquility about it. I was fascinated with the story of the clock in the corner. It travelled to New Zealand and back with Charles Brown and his son. It is thought it suffered damage on the way down as the trunk is now made in NZ native timber. Rather suspicious of the lampshade. Very uncluttered for the time. But I suppose more pictures were introduced as statements of wealth in those days? I love the stories behind your images. Nice place. Thanks Mo for your words. You keep visiting these places I have meant to visit. Keats House isn't far from me and I've lived here... um,... how many years? It's pushed me a step nearer to getting myself down there.